Wed 9th Jan - Fri - 11th Jan.
9am - 3pm each day. A 3-day workshop to get to know Shakespeare for students age 12-16 who may find Shakespeare weird/boring/irrelevant and who have some or no drama background at all. 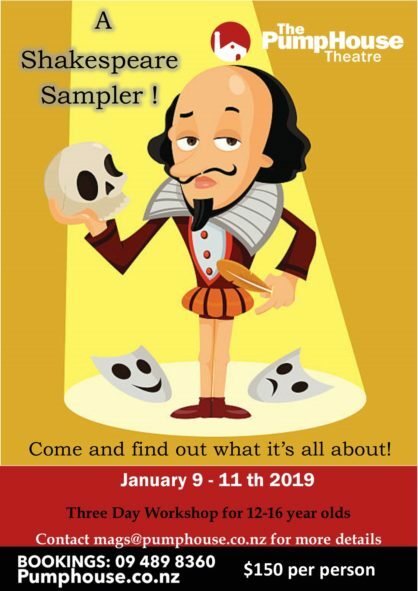 • Shakespeare characters Heroes, Villains, Clowns. The programme is led by Mags Delaney, The PumpHouse Theatre’s resident drama teacher and self-confessed Shakespeareaholic.